F2P MMO game developer, Wargaming, today announced their exciting list of events for this years Gamescom in Cologne Germany, bringing all the big guns to the forefront of their massive 720 square meter booth in Hall 8. The award-winning developers will bring their trademark AAA quality to the floor with the opportunity for players to participate in intense battles against other players in a variety of Wargaming titles. World of Tanks will be available to play on both Xbox 360 and PC, World of Warplanes and World of Tanks Blitz will also make an appearance. 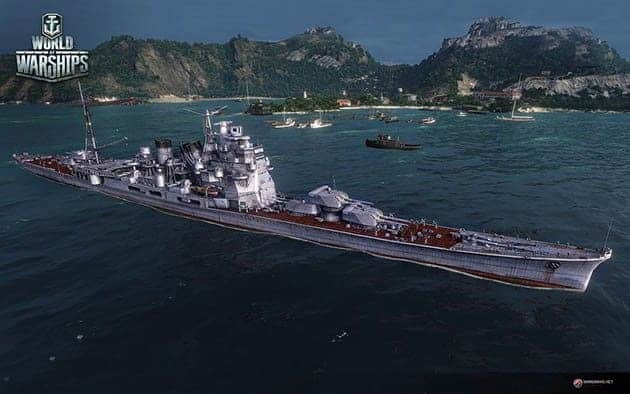 However, most Wargaming fans will be excited to see the world premiere of World of Warships, giving attendees the opportunity at a behind the scenes look at the highly anticipated PC naval combat game. Gamescom promises to be an exciting time for Wargaming fans as the developers host their signature live stage shows alongside game presentations, Q&A between the community and development team, and special guests and giveaways. While MMO ATK won’t be attending Gamescom, we did have a chance to check out World of Warplanes in a behind-closed-doors preview at E3 2014, and we’ve got an interview to prove it.